Digital marketing is moving rapidly and evolving faster than ever. That’s why it’s really important to take a holistic look at your 2017 strategy now, while the year is still young. As a digital marketing and business leader, it’s not enough to follow and adopt the latest strategies. You need to predict the future and invent those strategies that will transform your industry. I try to brainstorm new business strategies every single week. Sometimes, I brainstorm while running. Other times, I brainstorm while reading. At times, ideas just come to me in my sleep. Frequently, great ideas come to me while collaborating with others. The collective intelligence in our industry is quite high! Today, I’m thrilled to share a collaborative brainstorming opportunity that could take your 2017 business strategy to the next level. 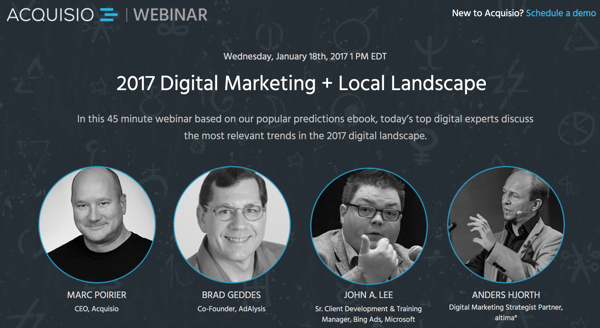 It just so happens that Acquisio is hosting a free webinar on Wednesday, January 18, 2017 at 1PM EDT covering the 2017 Digital Marketing + Local Landscape. Acquisio is one of my favorite companies in the digital marketing industry, and one of the most impressive performance marketing platforms around. More than anything, their team is impressive. I know that Acquisio’s webinar will be impressive and offer new and exciting perspectives on the future. My advice when attending: Put your own spin on the ideas. Allow the collective intelligence of the webinar to shape new and unique strategies that apply to your business. In Acquisio’s webinar, you’ll get to hear from their CEO, Marc Poirier, a personal friend of mine and thought leader in our industry. 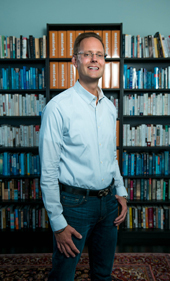 Also, you’ll get to hear from several esteemed leaders in online marketing including Brad Geddes. Brad is a really impressive marketer, and I had the honor of meeting him a few years back when he moderated my SMX East panel. Being free and only 45 minutes in length, I highly recommend taking out time from your busy day to enjoy Acquisio’s free webinar. I view this webinar as a high-leverage investment in yourself and your company. And, while we’re on the topic of 2017 predications, please make sure to check out my recent G5 interview to learn my very own 2017 predications. I wish you all the success in the world in 2017 and beyond! I’ve been getting really philosophical lately. I want to start this post with two very important questions: Will your current company be here in 50 years? Will the work you are doing right now have lasting impact in 50 years time? If your answer is "no" (or maybe an "I don’t know"), this post is for you. Let’s start with the basics. I have the firm belief that we are all here for a reason. We are here on this planet to be amazing leaders, contributors, mothers, fathers, sons, and daughters. We are here to add incredible, long-term value to humanity. As I get older, I also simultaneously realize that time is finite. As a younger professional in my 30s, I have a treasure trove of time, right? I sure hope so. That being said, as I get older, the days, weeks, months, and years seem to speed up. At a recent conference, a wise elder in our industry was called in to speak to the young leaders (I was included in the young leaders segment). His illustration: Life goes at 20 miles per hour in your 20s, life goes at 30 miles per hour in your 30s, life goes at 40 miles per hour in your 40s… By the time you get to your 60s, life is moving at 60 miles per hour. Each day you live, the actual time passes faster. I find this to be incredibly true in my life. Time has never seemed to move so quickly. I’m young and have a lot of time ahead, but I know it’s important to seize the moment immediately. I have concluded that I want to make a lasting 50-100+ year impact on each and every major aspect of my life. Over the last few years, I have organized my life around four main categories. Let’s explore each. I don’t write about my personal life frequently on PPC Ian these days, so I’m absolutely thrilled to announce I’m now a Dad. Becoming a father has been the single most important, life-changing event of my entire life. Being the best Dad possible is my greatest and proudest accomplishment. Fatherhood has given me a completely new perspective on life. Let’s go back to my original question… If you’re a parent right now, the work you are doing as a parent will certainly have huge value 50 or more years from now. Through the lens of my original question, there are few things as important as parenthood, in my opinion. As a digital marketing leader and people manager, I encourage you to close up shop early on a regular basis and spend time with your family. You are planting and nourishing the foundation of this world’s future via your children. Our children are so much more intelligent than us, let’s invest in the future! I’ve been thinking a lot lately about my legacy. What type of legacy do I want to leave here on planet Earth? Above and beyond my family, the first thing that comes to mind is a legacy of generosity and contribution. At the beginning of of this post, you see a picture of yours truly on a bench. This is actually the bench that my beautiful wife (Nicole), mother in-law, father in-law, and I donated to our local park. This very bench will be here in 50 years. 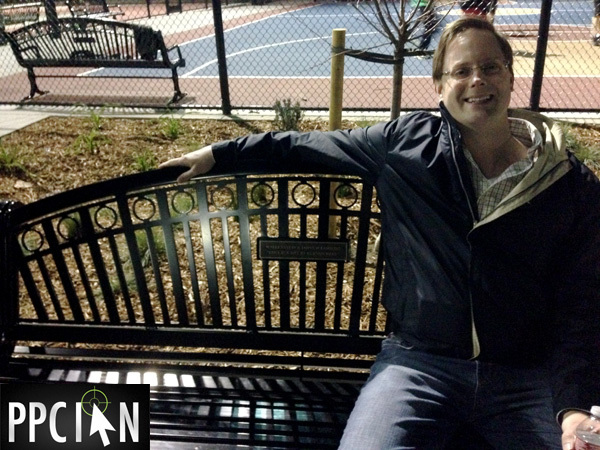 This very bench is benefitting the local community each and every day. I encourage you to bring charity to the top of your list. In our busy world of digital marketing, it’s so easy to forget about something like charity. We’re just trying to hit deadlines and milestones, after all. Charity cannot wait for your release date or milestone. Your time and money will have great impact, immediately. I really found spirituality over the last few years. My Pastor, a very smart and articulate man, loves to remind us that there is no more important work than the work we do in God’s kingdom. In fact, I would say that his message on this topic has really encouraged my thinking behind today’s entire post, my entire thought architecture on the long-term view. 50 years is a reasonably short period of time, in the scheme of things. Will the company you’re at be here in 1,000 years? Well, God and his incredible kingdom will still be here. Contribute to God’s kingdom and your work has true staying power. Whether you are Christian or support another religion, I encourage you to embrace your spiritual side. Here in Silicon Valley, many unfortunately subscribe to the religion of money. Many churches are struggling to stay afloat. This is a real issue when it comes to priorities. Don’t focus exclusively on the short-run since there’s a whole spiritual world that will be around forever. Just over a year ago, I made a career jump! 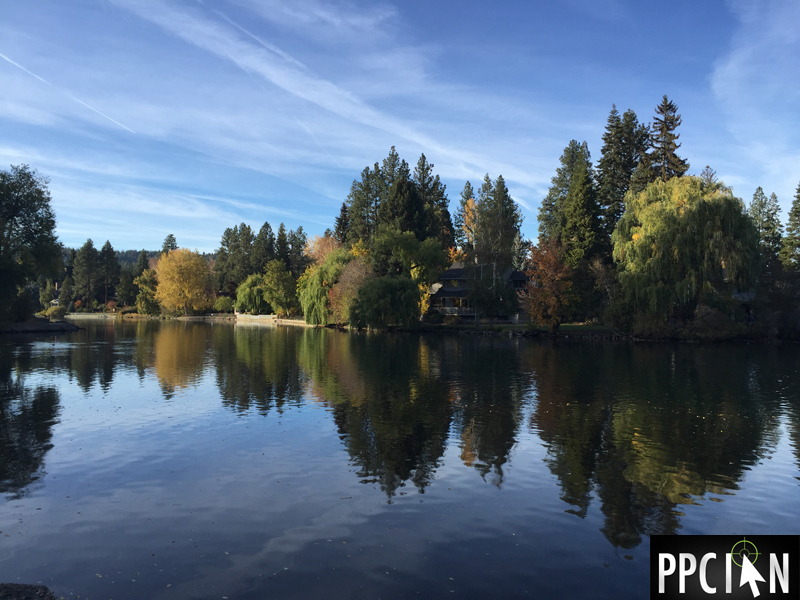 I leveraged my long-standing track record in digital marketing to become Partner at a 40+ year-old commercial real estate development and investment company, with responsibilities spanning marketing, technology, and real estate development development. Many people asked me, "Ian, why are you making this move?" My answer: I wanted to pursue my incredible passion for investing. I’ve always been a long-term investor, one who invests exclusively for dividends and cash flow. My investment horizon is forever since I typically don’t sell. Capital appreciation is nice, but just icing on the cake. My passion for long-term investing lead me to a company that has been growing for over 40 years and will surely be around another 50+ years. I got into position where I can build real estate assets that benefit this world for generations to come! I encourage you to find a company that you believe will stand the test of time. Or, a company that is providing a good or service that offers true longevity and benefit to society. Why work on something short-lived when you can add value for the long-haul? If I were writing to doctors, the answer here would be obvious. Everyone in that line of work is performing fundamental important work with long staying power. Same goes for teachers and police officers. Digital marketing is an amazing career (I’m the greatest proponent around), but can sometimes be a little different. How can you make your work in digital marketing even more important to society over the long-term? I want to encourage you to align everything you’re doing, across all four aspects of life, for a 50 year (or longer) horizon. That said, what if this is not possible? Maybe you’re at a company that pays well, but you have no confidence in future longevity? There are many elements of life, even more than the four outlined here. I suggest doubling down in your categories of strength. Your shortcomings in one category may add even greater strength in another. For example, leverage that incredible salary to give even more to charity. Or, find unique ways to turn a short-term situation into one with long-term perspective. For example, go all out mentoring others at your company. While your company may or may not have staying power, your mentoring surely will. It doesn’t matter if you have it all figured out, it just matters that you’re thinking on the philosophical level. What if you’re a CEO or leader at a company? Consider a deep-dive on your long-term plan. How is your company positioned for the next 50 years? How are your philosophical values as a company aligned for society-wide benefit? How is your company supporting your employees across all four pillars of life? Also, swim lanes don’t have to be exclusive. For example, why not bring charity into your company? Whether you believe your company will be here in 50 years or not, you can certainly pioneer team charity events, making your company a bit more immortal. As always, thanks everyone for reading. It means the world to me. I’m completely obsessed with investing, and I also happen to be a marketer. It is no consequence that this investment enthusiast built his career in digital marketing, as these two paradigms live in parallel universes. Best practices and frameworks from investing often apply to online marketing, and vice versa. Today, I’m excited to discuss the investment concept of liquidity and how it is incredibly relevant to all marketers. There are two major asset classes in investing, those that are liquid and those that are illiquid. Liquid assets are easy to buy and sell. Think about well-known, large cap stocks on the NYSE or Nasdaq. You can buy and sell at a moment’s notice, as long as the stock market is open. A perfect example of a liquid stock is Coca Cola (NYSE: KO). Please note that not all stocks are as liquid as KO. If you transact in small cap companies, especially those traded "over the counter", buy and sell orders can take time to fill. Oftentimes, if you want to sell immediately, you may have to lower your acceptable price to get the order filled. These small caps, in my opinion, are still somewhat liquid, but quite a bit less than KO. As you may expect, liquidity costs a premium. As of 4/12/16 intra-day, KO is trading at $46.67, with a PE ratio of 27.94 and a dividend yield of 2.99%. In other words, Coca Cola stock is expensive right now (although, honestly, not a bad starting yield in this amazing company). Even in a poor-performing stock market, KO (and most comparable blue chips) tend to trade at premium prices. As an investor, you pay for the stability that comes with a liquid asset. You pay for your right to sell at any time. In my opinion, you sometimes suffer lower returns if you only invest in liquid assets. That being said, the vast majority of my personal strategy involves liquid assets and I’m an incredible fan. Now, let’s talk about illiquidity. Illiquid assets are difficult, or sometimes impossible, to buy and sell at a moment’s notice. You may be "stuck" in such assets for years (or even in perpetuity). The classical example of an illiquid asset is real estate, especially when you own fractional interests in a property and are not the key decision-maker. It gets even more illiquid if you’re investing in a development project, one that will be constructed in the future. Investors typically do not experience major cash flow until the property is constructed, rented, and operating like a well-oiled machine. Let’s look at an example. 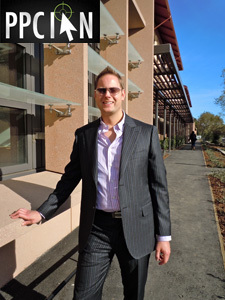 For those of you into FinTech companies like myself, think Realty Mogul. Realty Mogul offers the ability to own small, fractional interests in real estate investments. Many opportunities on Realty Mogul allow you to participate with $10,000 or $20,000 invested (a big chunk of change, but a low number in the context of real estate investing overall when you’re dealing with multi-million dollar assets). You become part of the Realty Mogul LLC assigned to the property, and dozens of other investors are pooling their money in tandem with you. Such interests are not traded on an exchange, and you are often committing your money for a number of years (although Realty Mogul offers shorter term opportunities as well). Typically such investments are considered illiquid. Sure, in theory you could find a buyer for your LLC interest and work with the Realty Mogul team to trade your interest, if you entered into a financial bind. That being said, extracting the true value of your asset would be really difficult. Illiquid assets are all about the long-term. You are really banking on huge value creation over time, and are giving up your ability to access your money for the privilege of potential higher returns (both cash flow and capital appreciation). The benefit of assets that are more illiquid in nature: Returns can be substantially higher than liquid assets. An important nuance: There are two components of your investment return, capital appreciation and cash flow. Capital appreciation refers to how much value the asset itself gains (you may have heard "buy low, sell high"). Cash flow refers to cash distributions shareholders receive from their investment (often referred to as "dividends"). Illiquid real estate investments can start cash flowing relatively quickly (within a few years). Cash flows can become substantial. When speaking about liquidity and illiquidity, however, I’m mainly focused on the asset itself, the capital appreciation portion of your return. Quite frankly, I’m the type of investor that isn’t as concerned with capital appreciation as I am with cash flow so I truly appreciate the cash flow possibilities with illiquid assets (I’m just not concerned about selling). That, however, is the topic of a completely separate blog post! In my opinion, the best financial portfolios have a balance of liquid and illiquid assets. The liquid assets can be sold on a moment’s notice if you ever need the money. The liquid assets allow you to survive with a lower cash buffer (emergency fund). This means more money invested! The illiquid assets, in the long run, could boost the returns of your overall portfolio, but you’re locking up money. You’re making a commitment. Diversification, in my opinion, is the key to success. How Does This All Apply To Online Marketing? 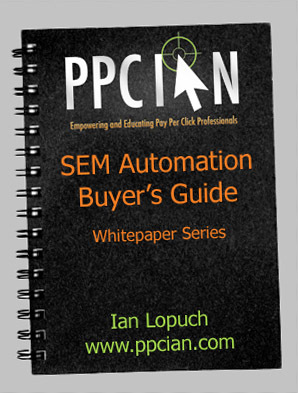 With a name like PPC Ian, you could probably guess that I got started in PPC (or pay per click marketing). 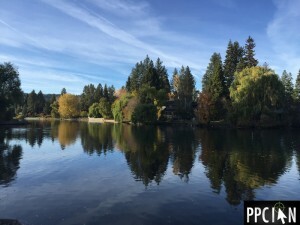 I want to leverage the PPC channel within digital marketing as a way to illustrate liquidity and illiquidity in the world of online marketing. Let’s think about keywords. In many categories these days, the bulk of one’s traffic comes from a concentrated set of keywords. Often referred to as your "head terms", these keywords are incredibly liquid. They provide a ton of traffic, their performance is consistent, and you can buy them and see results instantaneously. Because of their liquidity, head terms cost a premium. CPCs tend to be higher and the competitive landscape is fierce. You’re not going to make a ton of margin on the head terms, but they will provide steady, predictable returns when managed correctly. Now, let’s think about long tail keywords. The long tail is like the Wild West. You’re buying keywords that may have never been searched before. Your average long tail keyword may only get a few clicks per year. It’s difficult to accurately price such keywords because you don’t have a ton of performance data (other than data from related keywords). That being said, the long tail is less competitive. You’ll often find bargains. The long tail is for the patient investor/marketer looking for increased returns. While the long tail involves more sweat equity, research, and strategy (just like investing in an illiquid real estate asset), the long-term upside is there in the form of higher margins. The best digital marketing strategies, in my opinion, combine head terms with long tail keywords for a well-balanced portfolio. While most people reading this blog know all about head terms and long tail keywords, I’m hoping today’s investment framework of liquidity and illiquidity is new to many. In your career, it’s not only about what you do but how you think about what you do (and how you explain it). I’m hoping today’s framework gives you a new perspective on the amazing things we do as marketers, and a new way of explaining your work in your next big presentation! Also, I’m striving to build excitement around investing in general, as it’s a personal passion of mine, one that is directly related to your career as a marketer! Disclaimer: This is not investment advice. Today’s blog post is just for entertainment purposes. Please connect with your investment advice professional before making any investment decisions. I’m an investor and I believe certain concepts within investing apply to all areas of business and life. Today, I want to discuss one of my absolute favorite investing concepts and how it applies to digital marketing. Let’s talk about dollar cost averaging! I’ll illustrate via example… Let’s say you’ve identified a stock or investment that you want to own. Let’s say you also have a fixed amount of money to invest. Rather than taking that lump sum of money and buying 100% of your shares outright, dollar cost averaging says you should average in over time, on a fixed schedule. Maybe you buy 10% per month for the next ten months. After ten months, you are 100% invested. Why is this strategy so great? While it is easy to identify amazing investments, it is far more difficult to time the market. Since you don’t know where the market is heading, you will likely acquire your investment at a superior weighted average price by averaging in over time. If your business is linear with little seasonality, this one is a no-brainer. You’re always going to be dollar cost averaging over time. What about the seasonal business, however, the highly polarized business that experiences the majority of sales during a seasonal spike? 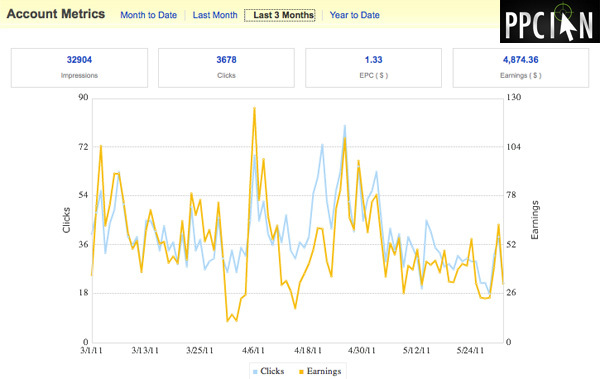 Thanks to the wonders of retargeting, I’m a fan of dollar cost averaging as much as possible. Start investing marketing dollars early, building leads. When you leave all of your marketing to a fixed number of days, you create a lot of risk for your company. If you can start building leads and nurturing early, you mitigate risk. Even though you start advertising early, you don’t need to close those sales early. You do, however, need to capture leads and have a mechanism for closing them later (email and retargeting). These days, digital marketing is an integrated team sport. Teams typically span internally employees within Marketing, internal employees on closely related teams (such as Product), consultants, advisors, and partners. Hiring a new team member requires serious effort and time, both on your part and the employee’s part. Have budget for hiring a large team? Rather than hiring everyone at once, I’m a huge fan of smoothing the start dates over time. That way, you have time to invest in your operations and new employee training, without spreading yourself too thin on either front. 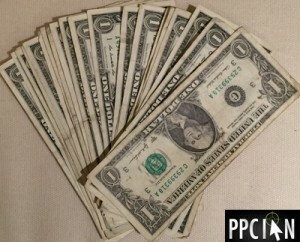 My roots are in PPC, so I had to do a case about paid search. I’m always generating new keywords. I always generate far more keywords than I can test in a timely fashion. In the short-run, testing can be really expensive and hurt overall margins. In the long-run, it’s always a winner because I discover the true value of each keyword and bid appropriately. As a strategy for mitigating short-term risk and smoothing margins, I’m a fan of dollar cost averaging. Take your test budget and spread it over time. Test a few new keywords each and every day. Rotate new keywords in as you rotate old ones out (and/or bid old ones accurately). I just rolled out my Digital Marketing and Business Quotes. One of my favorites is, "Invest in yourself. Carve out the time. Nobody else will." I also recently wrote a blog post called An App A Week where I challenge the reader to thoroughly learn a brand new app each week, expanding their knowledge. When you work full-time, it’s difficult to have any time left over for your own education and growth. This is precisely where dollar cost averaging enters the scene. Invest a little bit of time each and every day and your investment will compound. If you can’t afford to fall behind in your work, you can still learn! Averaging small amounts of time will compound into great long-term results! That being said, I also recommend smoothing your display advertising investment these days, because you can. Programmatic advertising opens doors that were never possible in the past. 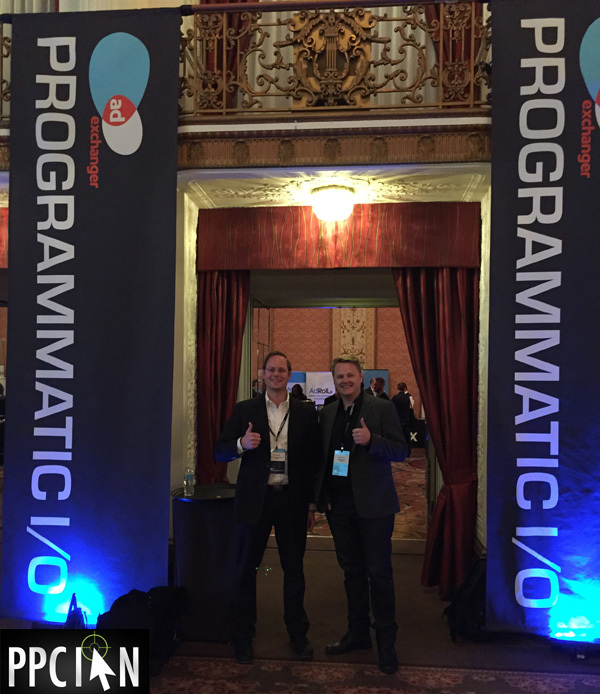 Rather than starting with the big, lump sum investments, start with programmatic. Let programmatic build into the bigger buys over time. Mitigate your risk! Next time you have a large amount of money to invest in digital marketing or business, consider the dollar cost averaging strategy instead of lump sum investment. In which ways do you dollar cost average? I recently posted about my ambitious Social Media Content Calendar Strategy, the plan that outlines how I drive value for those kind PPC Ian readers who follow me across social media. Those who read the entire post (it was a long one), may have noticed that my strategy was a little weak on YouTube. I’m one of the biggest proponents of YouTube around, and have a YouTube channel for one of my other websites that’s the absolute cornerstone of my overall social media and website strategy. Based on my YouTube Analytics, I am constantly amazed at the tremendous scale and engagement that YouTube offers brands (who add true value to consumers). I realized I just couldn’t miss this opportunity for PPC Ian and have been thinking about the best way to leverage the PPC Ian YouTube Channel. An idea was born: I’m thrilled to launch my brand new PPC Ian Digital Marketing Academy. I’m now posting digital marketing videos on a weekly basis, it’s a free academy for anyone interested in digital marketing, personal growth, and business. While I’m modeling many of my videos after my Tumblr Digital Marketing Definition of The Day strategy, I’m also going into vastly more depth. Targeted towards all levels of marketers and businesspeople – new, intermediate, and pro – I am confident you will find value. I encourage you to check out my new digital marketing academy videos, and please subscribe. I’m also thrilled to take suggestions on future video topics, so please speak up!